ORLANDO Fla. - Florida has a new phone app to help cull the invasion of its waters by the spiked lionfish, a venomous species that is devouring other fish and harming reef ecosystems. The state is home to more than 500 non-native species, but few as rampant in the wild as the marauding lionfish, which is fast-reproducing and has a voracious appetite. It preys on native fish such as yellowtail snapper, Nassau grouper and banded coral shrimp, and other crustaceans. "The lionfish has no known natural predators in the Atlantic ... and the ability to spawn year-round," according to the Florida Department of Environmental Protection. With zebra-like stripes of red, brown and cream, they are native to the tropical waters of the Indian and Pacific oceans. Since their first sighting off Florida's Atlantic coast 25 years ago, the banded lionfish population has increased rapidly, according to the wildlife agency. Popular aquarium fish, they have spread from Florida to Cape Hatteras, North Carolina, and to the Bahamas. 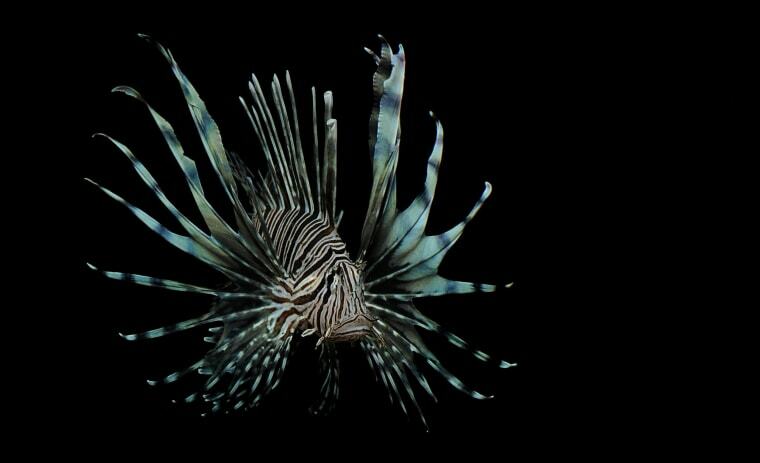 The Report Florida Lionfish app is designed to help the state collect data and raise awareness of the danger of invasive species, while encouraging people to report sightings so the fish can be removed from the state’s waterways, says Amanda Nalley of the Florida Fish and Wildlife Conservation Commission. The first 250 successful users of the app will get a free Lionfish Control Team T-shirt with an inter-active logo which, via the free Aurasma app, can display a lionfish video. Those who have no smart devices can report lionfish at MyFWC.com/fishing. Officials warn the lionfish spikes can deliver a painful, though non-fatal, sting to humans. State wildlife officials have also invited public participation in the fight against other invasive species. A state-sponsored Burmese python hunt in the Florida Everglades in January 2013 helped collect data, raise awareness and remove some of the giant snakes there.